Munnar, once the best summer resort of British, is located 1600 meters above from the sea level. 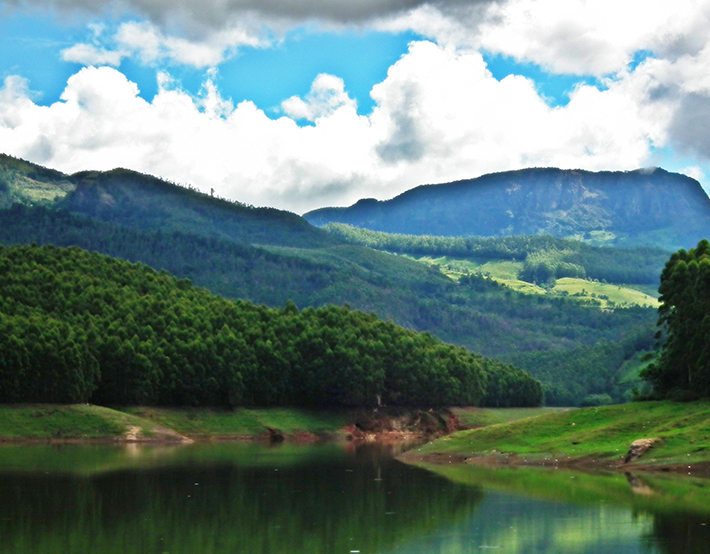 The name Munnar indicates that the gathering of three rivers, they are Nallathanni, Mudrapuzha, and Kundalapuzha. The popular flower “Neelakurinji” is one of the main attractions of Munnar, this great flower blooms once in every 12 years. You can enjoy the bloom of Neelakurinji flowers from July this year 2018. The spice plantations, wildlife sanctuaries, breeze, lovely tea plantations, flora’s and fauna’s mountains, hills and valleys, landscapes, trekking spots these all together makes Munnar perfect hangout for tourists. There are so many more locations to explore your Kerala Tour, Eravikulam National park, Anamudi peak, Mattupetty dam, and so many more. Amazing tea-coffee plantations, pristine hills &blooming valleys, wildlife sanctuaries, attracting landscapes for travelers across the world, which also attracts the families, honeymooners, trekkers etc. Anamudi- The highest peak in Kerala as well as South India, almost it’s having at 2695m above sea level, is one of trekker’s paradise. Pack your bags to Munnar, Kerala, go for an amazing Kerala Trip package, you will truly fall in love with this spot. There’s a lot to see, a lot more to say, the beauty of nature, wildness as well as the culture, and this page will not be sufficient for that. 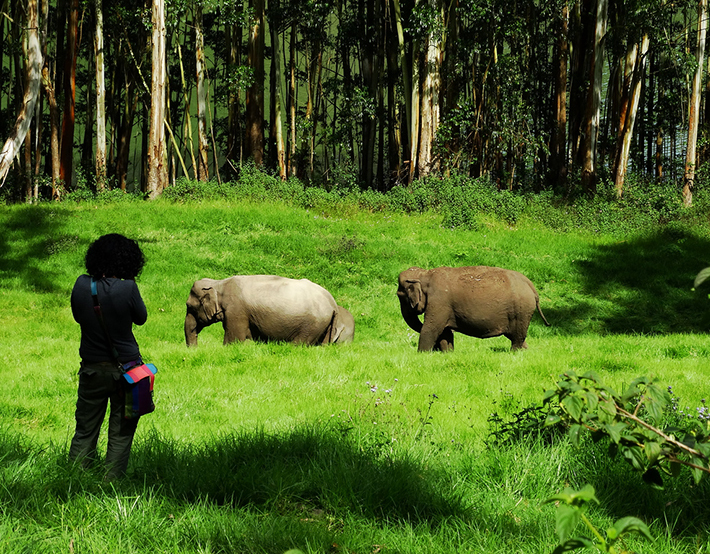 Those who visit Munnar also used to visit Rajamala. Truly, it is one of the best paradise for photographers as well as the nature lovers, visitors can enjoy the beauty and the wilderness of nature as well as hope to see flora and fauna.Nilgiri Tahr, the migrant Blue rock thrush, Flycatcher (black as well as orange), Blue capped rock thrush, Tickells leaf warbler and so many other species which all are so rare. 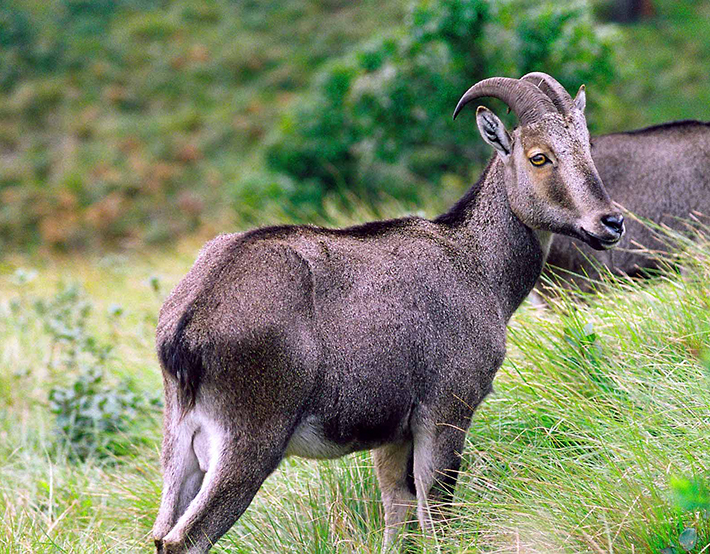 The only area permitted for tourism in the Eravikulam National Park a sanctuary for the endangered mountain goat of South India – The Nilgiri Tahr [Hemitragus hylocrious] is Rajamali. The biodiversity of high altitude shoal-grassland ecosystem unique to this region spreads over 97sq km and is definitely a sight to be seen. Rajamala is likely the best place to view, observe and shoot or photograph some of these unique animals, including the endemic Nilgiri, the migrant Blue rock Thrush, Black and Orange Flycatcher, Tickell’s Leaf Warbler, Blue-Capped rock Thrush and many other significant bird species. Gunther’s Vine Snake and the Salea Lizard are among the other fauna of interest endemic to the high elevation habitat of the Western Ghats. As the name suggests Eco Point is famous for echo. Unlike a sunrise or sunset point where you admire the beauty of the sun, at Echo Point you will get in touch with yourself at this scenic point by help of science naturally present at this place where you would be able to hear yourself talk back to you. Just 3km from Mattupetty on the way to the Top-Station visitors stop here to speak to the nature with joy. It is really a fun experience to hear the mountains speak to you the same words you talk to it. You would end up laughing at yourself. Neelakurinji (Strobilanthes kunthiana) is a shrub that used to grow abundantly in the Shola grasslands of the Western Ghats in India. The Nilgiris, which literally means the blue mountains, got its name from the purplish blue flowers of Neelakurinji that blossoms gregariously only once in 12 years. 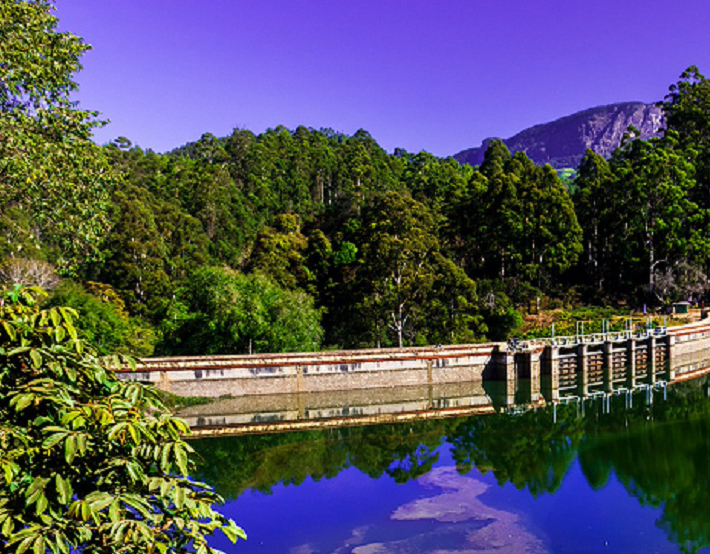 Just 20 kms away from Munnar it is the Kundala Dam, which holds its name proudly in the history to be The Asia’s first arch dam. This artificial dam is a major attraction to tourists and the boating experience here is just amazing. This place also holds a golf course owned by the Tata Tea Ltd. Among other attractions are The Aruvikkad Waterfall which is very close to Kundala and the Sethuparvathi dam build in the 1946 as a part of the Pallivasal hydroelectric project is definitely a sight to see and behold. 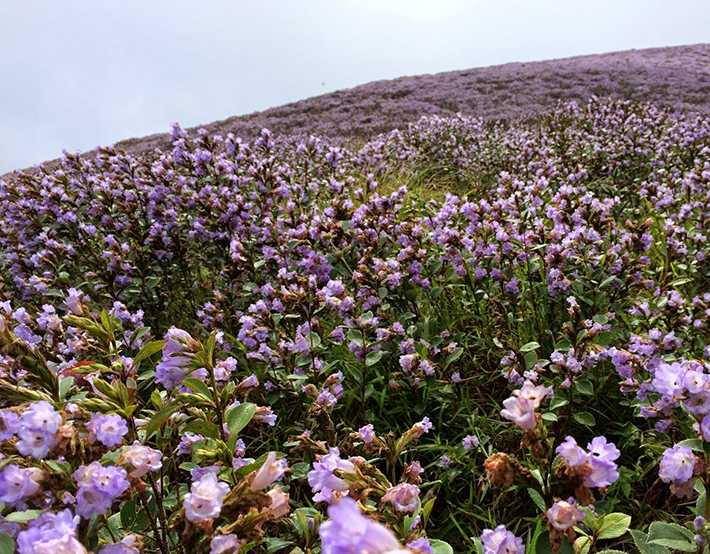 The famous Neelakurinji flowers which bloom once in twelve years, blooms in the hills and valleys around Kundala lake. This picturesque town near Munnar which falls on your way to the Top Station is surely an invitation to pause and enjoy the incredible nature. Munnar is one of the main tea plantation hubs of Kerala, it’s only befitting to have a museum dedicated to tea itself. 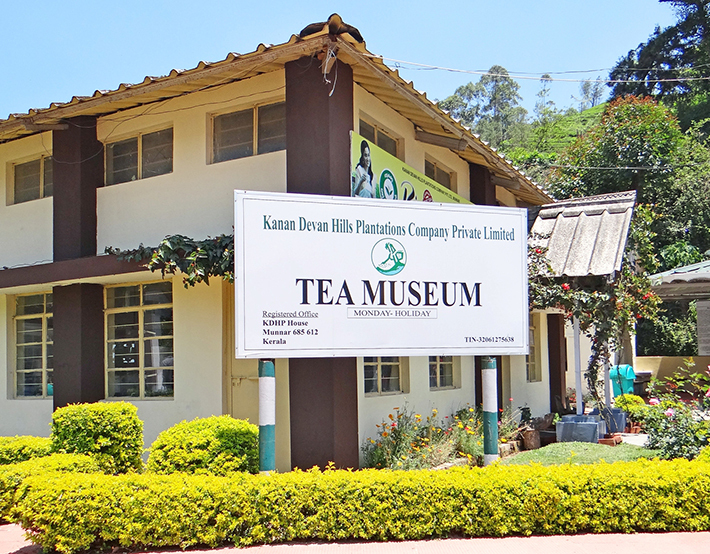 The TATA Tea Museum at the Nallathanni Estate in Munnar is a tribute to the tea pioneers which showcases not just the history and all the pain and struggle of the initial stages of tea manufacturing but also depicts the modern techniques used these days. It is a must visit for all the tea lovers as it is an opportunity to be as close as you can get to a real tea factory. A sundial, placed on a granite block, which was made in 1913 by the Art Industrial School inNazareth, Tamil Nadu, greets the visitors to the Tea Museum. If you have an eye for antiques, there are many things to delight your eyes with a second century B.C. burial urn at the top of the list to the original tea roller ‘The Rotorvane’ dating back to 1905, the ‘Pelton Wheel’ from 1920s used for power generation in that era and many more. A demonstration room for tasting tea is a major attraction among visitors to the tea museum as they get to taste different varieties of tea and would also get a chance to learn a few things about the black tea production.